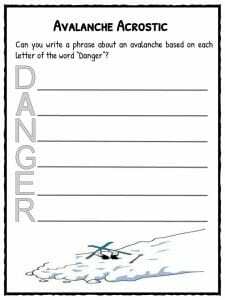 An avalanche is a phenomenon of nature. It is linked to snow. When there is too much snow on a mountain, some of the snow may fall, causing damage to things in its path. This is called an avalanche. 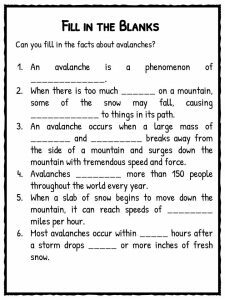 Keep reading for more Avalanche facts or download the bumper 11 worksheet pack including activities to use at home or in school. 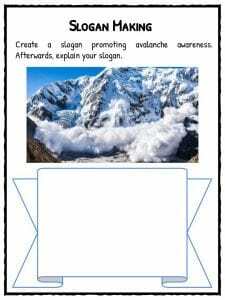 An avalanche occurs when a large mass of ice and snow breaks away from the side of a mountain and surges down the mountain with tremendous speed and force. Some avalanches are small and only a minimal amount of snow moves down the mountain. When this occurs it is called sloughing. 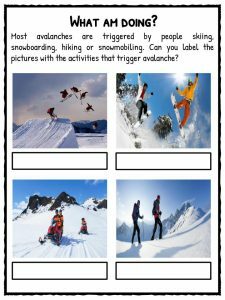 Most avalanches are triggered by people skiing, snowboarding, hiking, or snowmobiling on top of the snow. 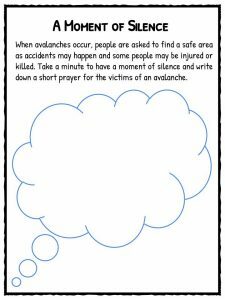 Avalanches kill more than 150 people throughout the world every year. When a slab of snow begins to move down the mountain it can reach speeds of 80 miles per hour (130 kilometers). Most avalanches occur within 24 hours after a storm drops 12 or more inches (30 centimeters) of fresh snow. Other areas that are extremely vulnerable to avalanches are where layers of wind-driven snow has accumulated. People that access areas where avalanches are known to occur need to find out from park rangers if that part of the mountain has been declared to be safe. People are encouraged to never travel into risky areas alone. People skiing or snowboarding in areas where avalanches occur need to let someone know where they will be, and they also are encouraged to wear an avalanche beacon, so if they are trapped the rescuers will be able to find them. 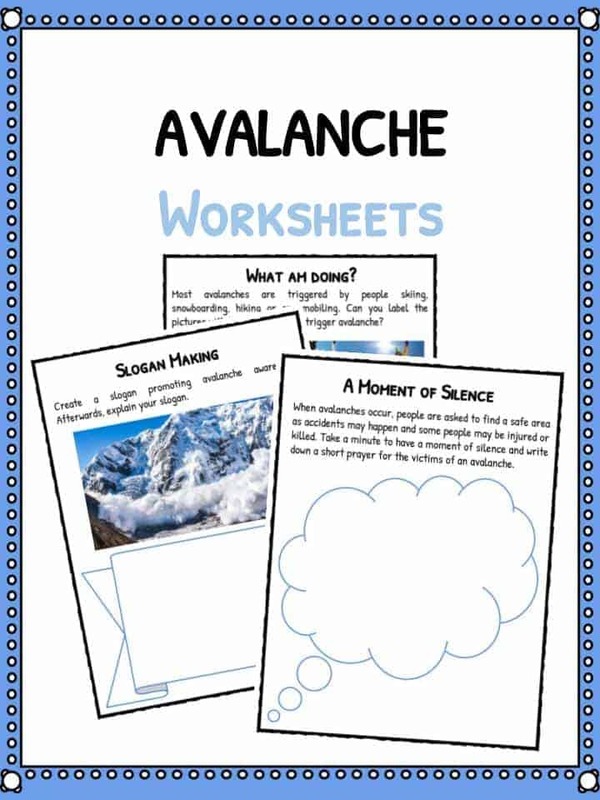 This bundle contains 11 ready-to-use Avalanche Worksheets that are perfect for students who want to learn more about an avalanche which is a phenomenon of nature. 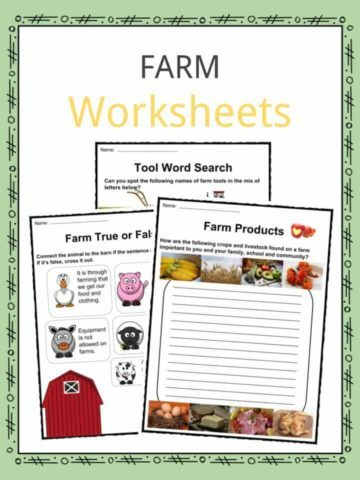 It is linked to snow. 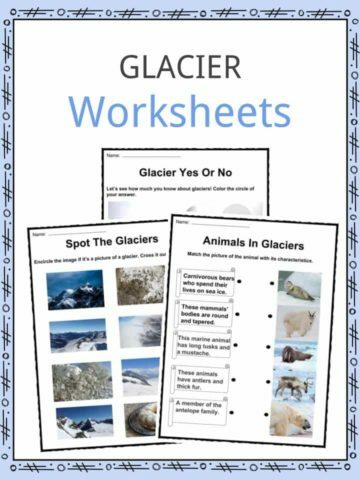 When there is too much snow on a mountain, some of the snow may fall, causing damage to things in its path.